Hoopla is currently compatible with both Apple TV and Chromecast devices. IOS users that have an Apple TV may mirror the content they see on their iOS mobile device to their television. Android users that have Chromecast have the ability to cast Hoopla digital videos to their television using either their PC or iOS/Android mobile device. Those with neither an Apple TV or Chromecast device can simply connect their device to their television using an HDMI cable. 10 per month (all Hoopla items (ebooks, albums, movies, etc) count toward this total). These replenish each month, not when you return an item. Qello curates the live performances that matter. The greatest concerts and music documentaries are right here. With new releases every week, from iconic stars to today’s best artists, you’ll never run out of amazing shows to watch. You can watch Qello Concerts on your computer, tablet, or your big screen TV with Apple TV, Roku, Chromecast, Amazon Fire TV, Sony, and more. 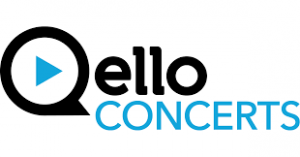 From the 1920s to today’s hottest artists, Qello Concerts spans over 30 genres, from classical to rock, and reggae to country.